Want to share your own experience with us? Send us a note to let us know what working with Central Valley House Buyers has been like for you. CVHB is a fantastic company! They provide fair, honest service, outstanding prices for your as-is home, and are very friendly and professional. They eased my anxiety tremendously in a stressful situation, and I am pleased we selected them. Highly recommended! My family wanted to relocate and needed to sell our home. We decided that it would be easier to sell our property as-is instead of doing our own improvements. 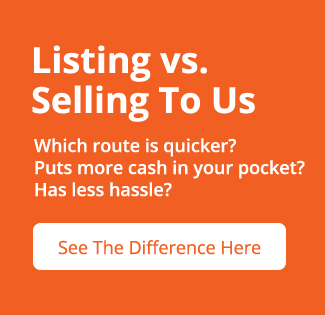 We talked to few cash buyers and they offered us a cash price that we accepted. Unfortunately the cash buyer did not have the funds to finish the purchase. So we had to start the selling process all over again. We found Central Valley House Buyer website and filled out the information about our home. We soon received a call and an appointment was made to see the house the same day. The next day we agreed on a price, received a contract electronically and were in escrow that next morning! Amazingly our escrow closed in 4 days!!!! Joaquin was great to work with. He answered all of my questions and concerns. He was trust worthy, honest, thorough and fair. He was very knowledgeable, open in communication and always worked really hard to complete the sale on time. He made the whole process so fast and easy that I would definitely recommend Joaquin to anyone who is looking to sell a property. I inherited a home from my mother. It was a nice two-acre property in the country, but the well had gone dry, and the house was in disrepair and needed a lot of work. I knew the property had value, but I had no idea how I was going to sell it in its current condition. I didn’t have the time, money, or resources to do the improvements needed in order to sell it to a traditional buyer. I contacted centralvalleyhousebuyer.com by filling out a form on their website. The owner, himself, called me right away. I explained the situation and told him about the property. We made arrangements to meet at the property. After walking through the home, and around the property, he made me a fair, all cash, as is, offer. He closed escrow within about a week. I got my money and he started the renovation. They did an amazing job renovating the home. It made me very happy to see what they did with the house my mother had left me. It was the best choice and super easy. I highly recommend centralvalleyhousebuyer.com to anybody in a similar situation. My sisters and I inherited a home from our mother. It was a home located in Caruthers Ca. where we had grown up together. We all had our own lives and lived outside of the area far from each other. My sisters and I did not want to deal with the hassles of selling the home the traditional way. We found centralvalleyhousebuyer.com through a Google search, filled out a simple form with the property details. The owner contacted us right away and made arrangements to come see us in person at the house. He did about a five-minute walkthrough and presented us with an offer. It almost seemed too easy to be true. We accepted the offer and he sent us the contract via email later that evening. We signed the contract electronically. He opened escrow at a local title company and closed the deal fast, and without any hassles just like he said he would. We got a fair price for the property and had zero headaches to deal with. The owner of CentralValleyHouseBuyer.com was a very professional young gentleman and a pleasure to work with. We had just put my mother in an assisted living facility, and my husband and I were retired and trying to enjoy life. We did not want to deal with the hassles of selling a home through a real estate agent. We found CentralValleyHouseBuyer.com on the web and contacted them to see what they could offer us. The owner himself met us at the property. We had realistic expectations. After walking through the home, he asked what we would like to get out of the property. We told him the price we had in mind. He played with some numbers on his calculator for a few seconds and agreed to buy the property for the price we wanted. The deal closed just as fast and easy as he had said it would. It almost seemed too good to be true. We are confident that even though we sold the property for less than we could have by listing it the traditional way through a realtor, we were still able to profit as much or more by selling to Joaquin for less. There were no commissions or fees. He paid all closing costs. We thoroughly enjoyed working with Joaquin, he was a very professional young man, and we are completely satisfied with how everything turned out. I had just been through a very long, emotional divorce. The next step was selling the house that my ex and I owned together. I was not living in the home, but my ex was. Let’s just say we were not on good terms, and we had very poor communication with each other. I didn’t know how we were going to work together to sell the home we owned together. Thank goodness I found CentralValleyHouseBuyer.com while doing an internet search. I contacted them, explained the situation, and received an offer on the home within 24 hours. I was happy with the offer, and so was my ex-wife. They closed the deal just like they said they would. I want to thank CentralValleyHouseBuyer.com for turning a potential nightmare situation into an easy, simple, hassle-free deal. Selling my home to Central Valley House Buyer was truly a great experience. Joaquin and his team are very knowledgeable and know how to sell your home fast. They made me a fair cash offer on my home and were even able to close escrow in one week!! I highly recommend anyone looking to sell their home quick and who don’t want to deal with brokers, showings or fees to give these guys a call! Thanks Central Valley House Buyer! I was in a unique situation because my wife had passed away, which resulted in me needing to sell my house for financial reasons. But, I also needed to finish my school year teaching contract before I could move out. He not only matched the highest offer I had received, but also worked out a way for me have a month following the close of escrow to finish moving out. All through the process, he was very professional and followed through on all his statements, including making the payout and closing escrow in twelve days. Based upon my experience with Central Valley House Buyer, I do not hesitate recommending him for any real estate needs a person may have.